WASHINGTON — With the threat of tariffs and counter-tariffs between Washington and Beijing looming, Chinese buyers are canceling orders for U.S. soybeans, a trend that could deal a blow to American farmers if it continues. At the same time, farmers in China are being encouraged to plant more soy, apparently to help make up for any shortfall from the United States. Beijing has included soybeans on a list of $50 billion of U.S. exports on which it has said it would impose 25 percent tariffs if the United States follows through on its threats to impose the same level of tariffs on the same value of Chinese goods. The U.S. tariffs could kick in later this month; China would likely retaliate soon after. It can take a month or more for soybean shipments to travel from the U.S. to China. Any soybeans on their way to China now could be hit by the tariff by the time they arrive. 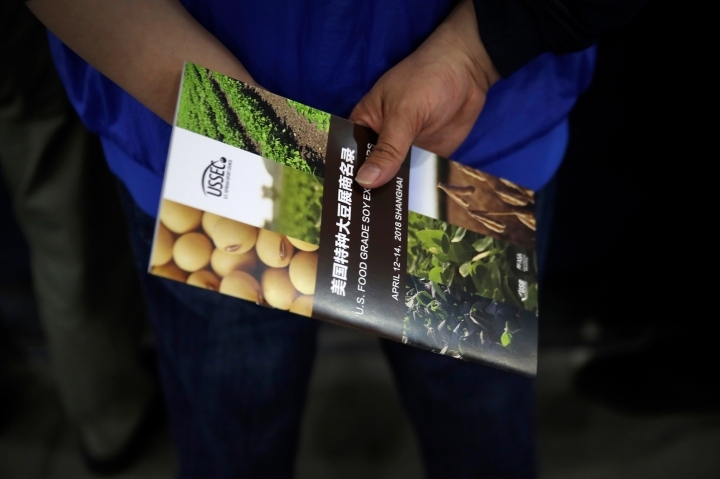 "The Chinese aren't willing to buy US soybeans with a 25 percent tax hanging over their head," said Dan Basse, president of AgResource, an agricultural research and advisory firm. "You just don't want the risk." China typically buys most of its soybeans from South American nations such as Brazil and Argentina during spring and early summer. It shifts to U.S. soybeans in the fall. As a result, for now, the cutbacks from the United States are relatively small. But should they persist, it could cause real pain to U.S. farmers. Roughly 60 percent of U.S. soybeans are shipped to China. There might also be a political impact: Three of the top five soybean-exporting states — Iowa, Indiana and Nebraska — voted for President Donald Trump in 2016. Illinois, the top soybean exporter, and Minnesota, the third-largest, backed Hillary Clinton. Basse said that it has been roughly three weeks since China has made any major soybean purchases, an unusually long delay. Some Chinese buyers might be showing support for their government in the trade dispute by turning away U.S. soybeans, Basse said. The dispute may also make it seem too risky to buy from the United States over the long run. "The United States could lose the reliable supplier label that we've had these many years," Basse said. Data from the U.S. government data show that sales of soybeans have fallen from about 255,000 metric tons in the first week of April, when the trade dispute began, to just 7,900 in the week that ended April 26. Cancellations have also jumped, to more than 140,000 metric tons in the week ending April 26. In the same week last year, there were no canceled sales at all. Some analysts argue that the shifts aren't yet particularly significant. China buys most of its soybeans from the United States in the late summer and fall, and then switches to South American sources, mainly Brazil and Argentina, in the spring. So the current market activity doesn't necessarily reflect the pattern that would occur during the main buying season. "These numbers we're talking about are pretty minor," said John Baize, an economist for the U.S. Soybean Export Council. The U.S. ships about 35 million metric tons of soybeans to China a year, Baize said. China usually imports about 100 million tons a year and can't import enough from other countries, he said, to abandon the United States as a source. "Where's China going to buy its beans?" Baize asked. That may be true in the short run. But Basse suggests that Brazil has enough land that could be used for soybean cultivation that it could soon mostly replace the United States as a supplier to China. And if the Chinese market were to be closed to U.S. farmers, they might be able to sell some portion of their soybeans to other markets. Baize said that huge multinational companies, such as Cargill and ADM, might, for example, sell more U.S. soybeans to Europe, where they wouldn't face any tariffs, though this likely wouldn't make up for the loss of the Chinese market. At the same time, China is looking more to its own farmers. Since China announced its potential tariffs on U.S. soy in April, the government has encouraged farmers to cultivate more soybeans. Beginning this month, Chinese farmers say, Beijing reduced corn subsidies and raised annual soybean subsidies from 2550 yuan ($400) per hectare to 3000 yuan ($470) or more per hectare in major soybean-producing provinces in northeast China. An adjustment had already been planned to help draw down China's substantial corn stockpiles, so the change wasn't necessarily aimed at U.S. soy growers, analysts say. But the subsidy adjustment did come with political undertones. Officials in major soybean-producing provinces were describing the promotion of local soybeans as "the most important political task in agricultural production at present." 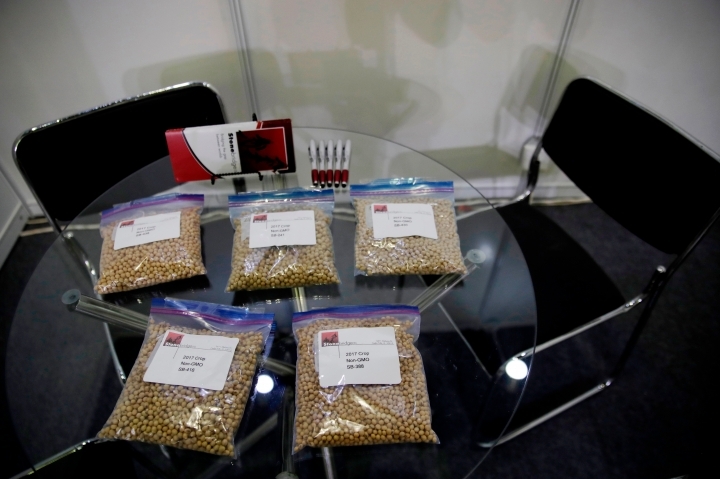 Heilongjiang in northeast China announced a pilot project to plant soybeans on over 100,000 new hectares, with an extra 2,250 yuan ($353) subsidy per hectare. The moves are prompting farmers like Liu Cong to focus more on growing soy. Liu says he used most of his land to grow corn last year but this year is planting more soybeans. "This is encouraging for farmers," he said in a phone interview. "We're more motivated." Zhang Xiaoping, China director for the U.S. Soybean Export Council, says that Chinese buyers have been canceling soybean purchases of last year's U.S. soybean harvest because of the threat of tariffs. "The buyers literally stopped buying from the U.S.," Zhang said. "Exporters cannot find any buyers in China." Kang reported from Beijing. AP researchers Shanshan Wang in Beijing and Fu Ting in Shanghai and Staff Writer Paul Wiseman in Washington also contributed to this report.